How is your weekend going? My sister and her fiancé are in town visiting so we have spent the last few days with them. 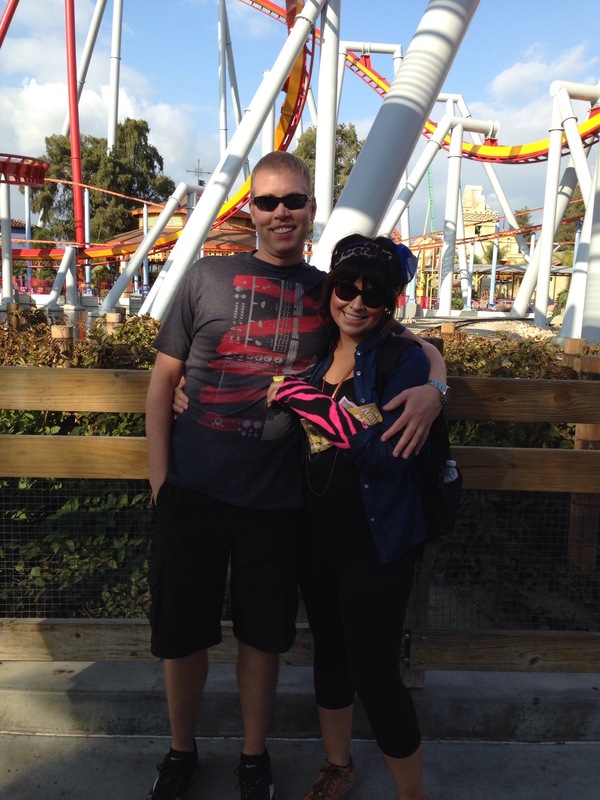 On Friday, we went to Knott’s a Berry Farm. My husband and I got in for free for veterans appreciation month. Yes, he was a Marine about 15 years ago. As you can see, I dress for comfort. My daughter always asks why I don’t wear normal clothes. I do, but it’s rare. 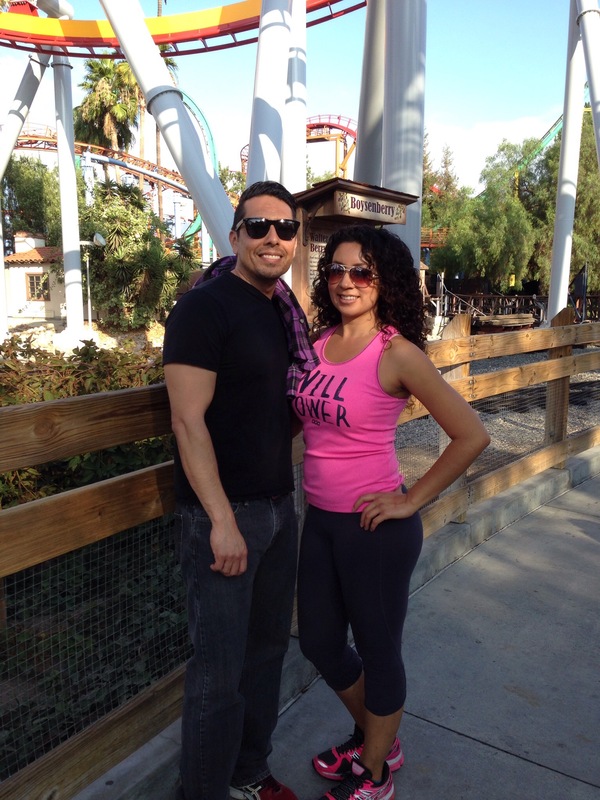 I’m wearing my favorite “will power” pink tank top from Lorna Jane. Comfortable and cute is usually my goal. My sister and her fiancé. He enjoyed all the roller coasters and even rode some of them multiple times 🙂 They don’t have places like this up in Washington so he took advantage of this time. 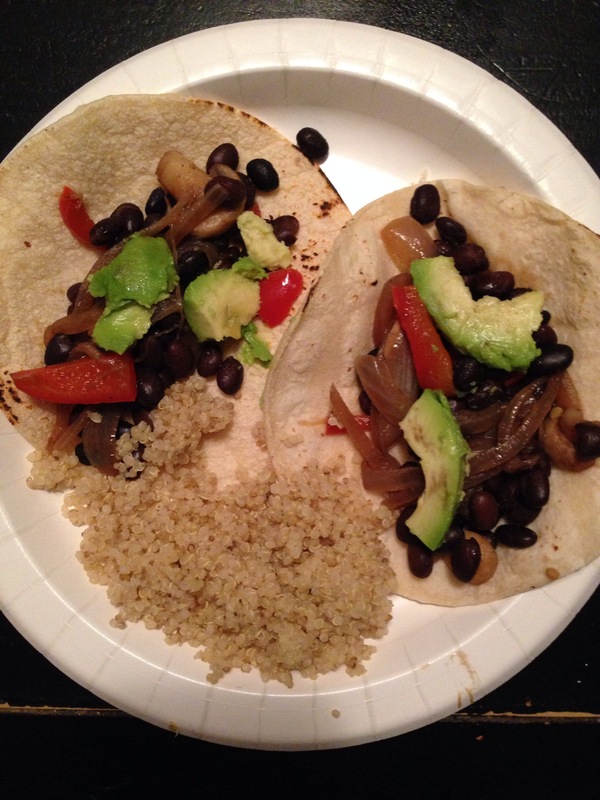 Here are some easy vegan fajitas I made this week. 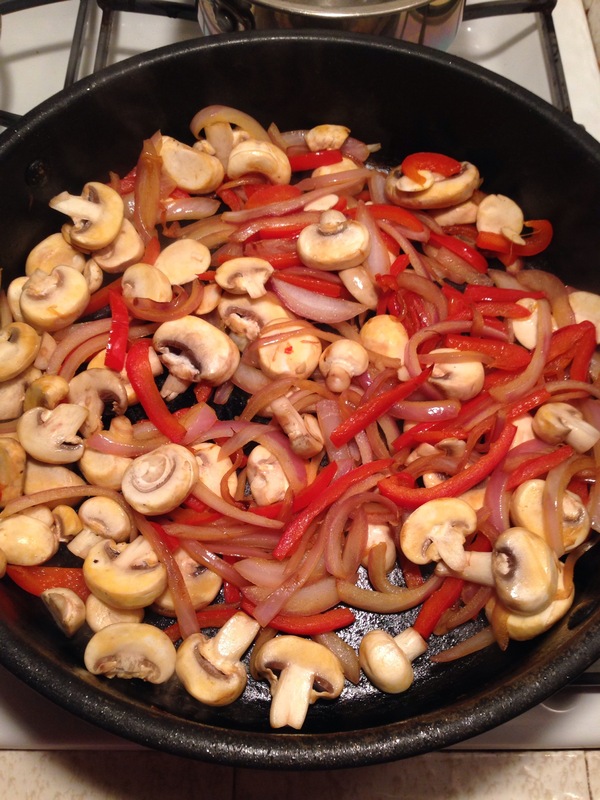 It’s simply some onion, bellpepper and mushrooms. I was going to add what I thought was zucchini but when I got home from the store I realized I bought a cucumber instead. Haha. So I had to make the best with I had and it worked out just fine. It takes less than ten minutes to make. Just sauté in a Tbs. of olive oil until softened then add in the black beans I served on some corn tortillas and a side of quinoa as always, topped with avocado. I know it’s not the prettiest picture. I usually try to put my food on a pretty white plate but I forgot this time. 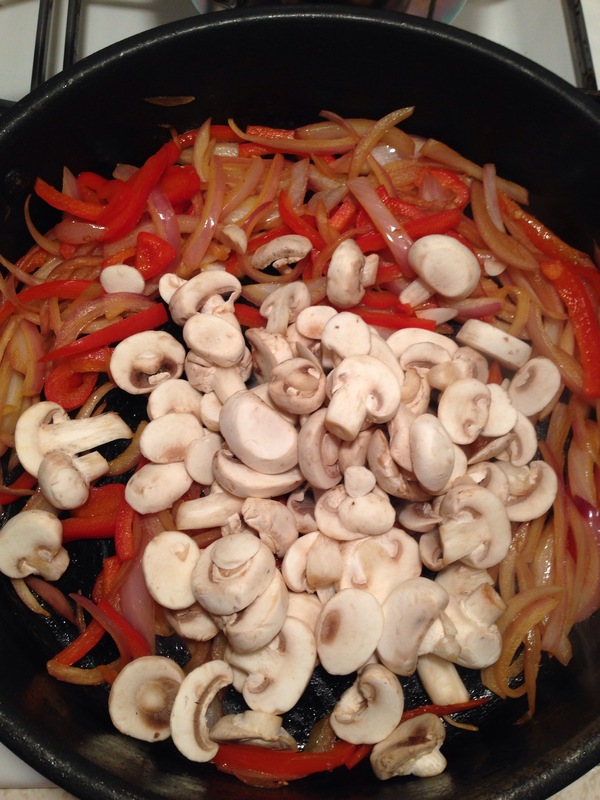 I’m passionate about making healthy food in not a lot of time. 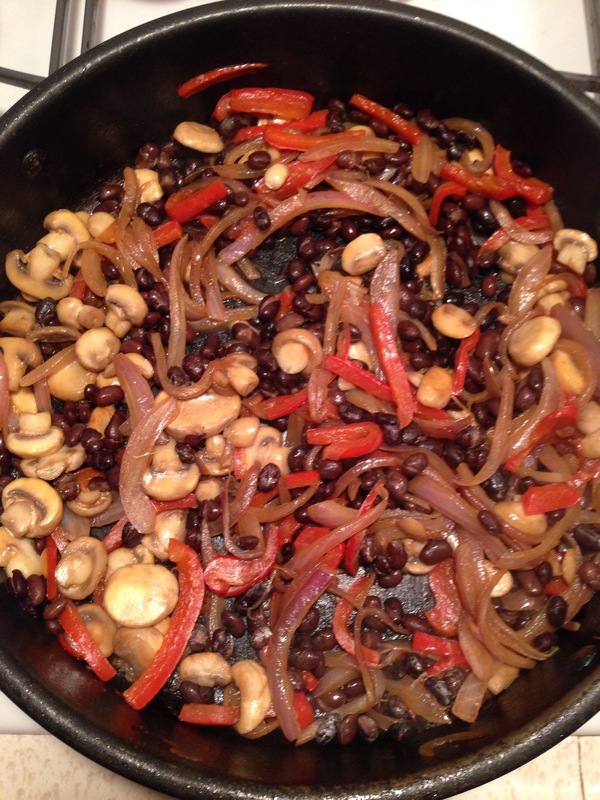 I hope this provides some hassle free healthy meal inspiration for you. We are spending the weekend at a beach house with my sister. I’ll be back soon with some pictures. Enjoy the rest of your weekend.